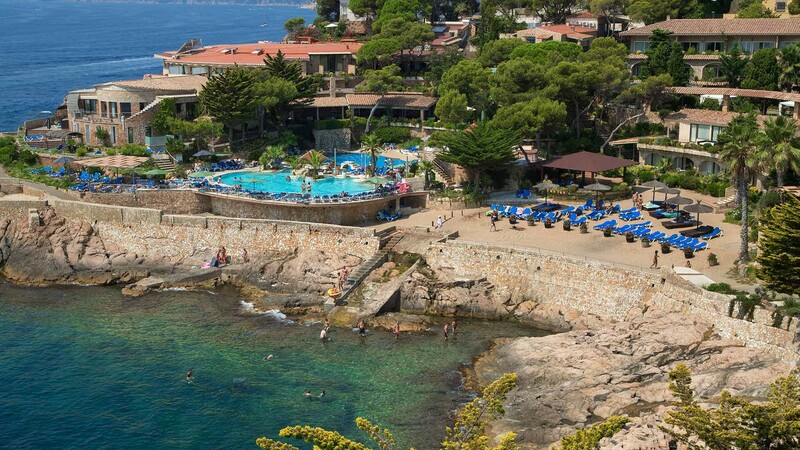 Hotel Eden Roc is located on the Costa Brava, just 1 km from Sant Feliu de Guíxols. The premises, comprising the hotel and the Port Salvi spa and health centre, are located on a very quiet headland outside the town surrounded by the clear waters of the Mediterranean Sea. Eden Roc is a romantic hotel in a luxurious setting, perfect for relaxing with your partner or your family on a dream holiday on the Costa Brava. The resort, with its exceptional facilities, surrounds an entire cove (11,000 m2) and it all faces the sea, letting the sunlight, the sea breeze and the colours of the Mediterranean into all corners of the hotel. The hotel has lush gardens, a sun deck terrace and a swimming pool overlooking the sea, as well as a small beach, restaurant, barbecue, gym, Ayurveda centre and a yoga deck overlooking the sea. Its rooms, many of which have a whirlpool bath and sea views, have recently been refurbished and are designed to be your personal haven of peace and serenity during your holidays. 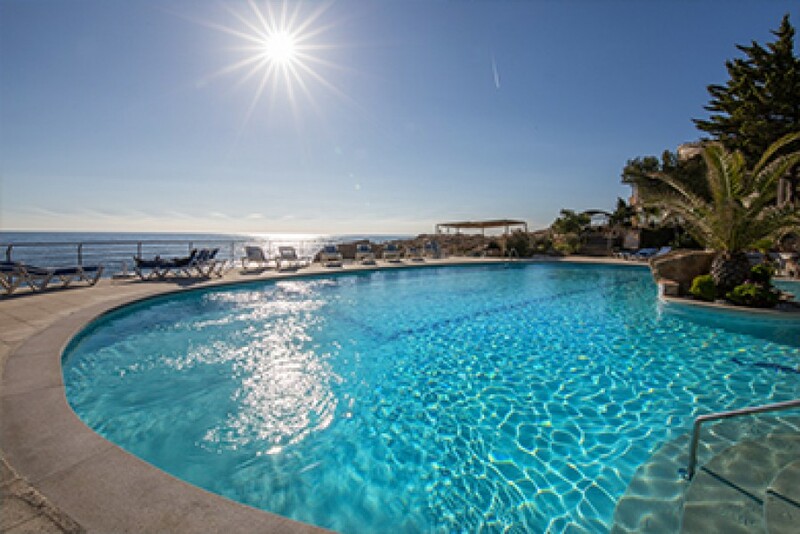 Here you will find the best conditions for booking in Sant Feliu de Guíxols. 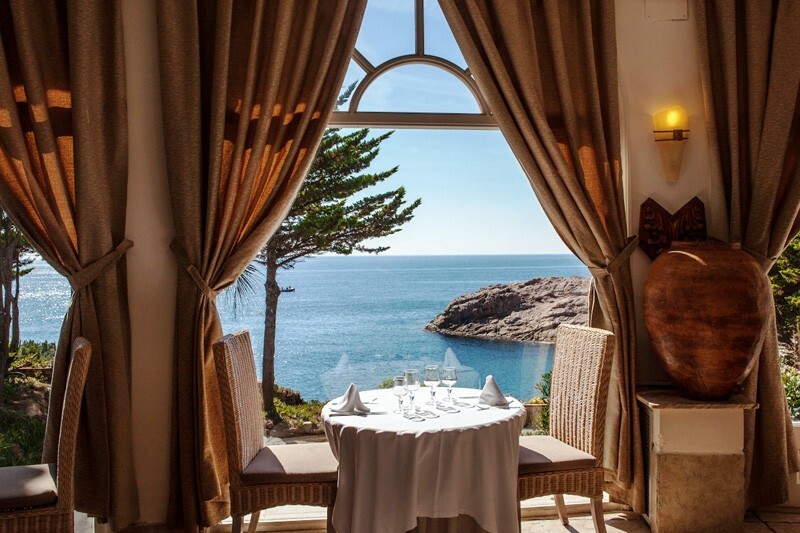 Stay by the sea: Hotel Eden Roc has the Costa Brava’s best views! 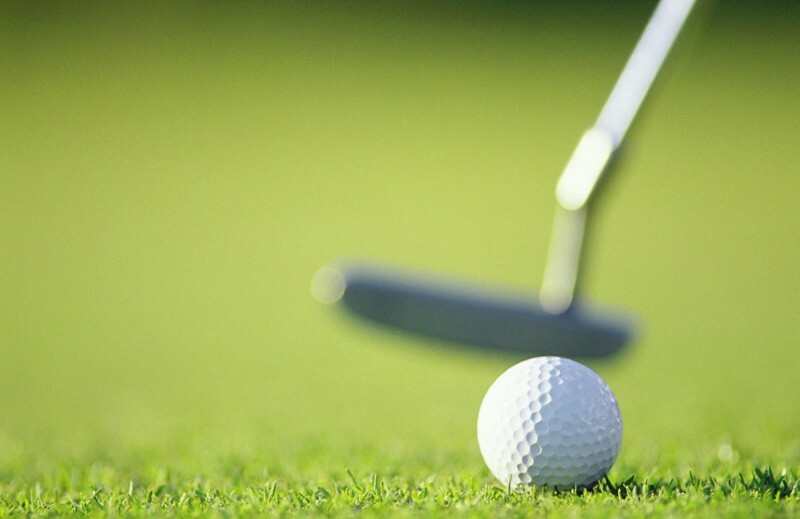 The best golf courses on the Costa Brava! Golf packages and special prices for our clients. Special prices for groups and companies. FREE CANCELLATION up to 1 day before your date of arrival. …and all, with the BEST PRICE GUARANTEED! Hotel Eden Roc’s swimming pools are on a peaceful terrace with spectacular views overlooking the sea, and they are surrounded by Mediterranean gardens and pine trees that provide cool air to counteract the summer heat. With loungers for sunbathing and the Las Gaviotas pool bar, this will be your favourite spot on the Costa Brava for relaxing. 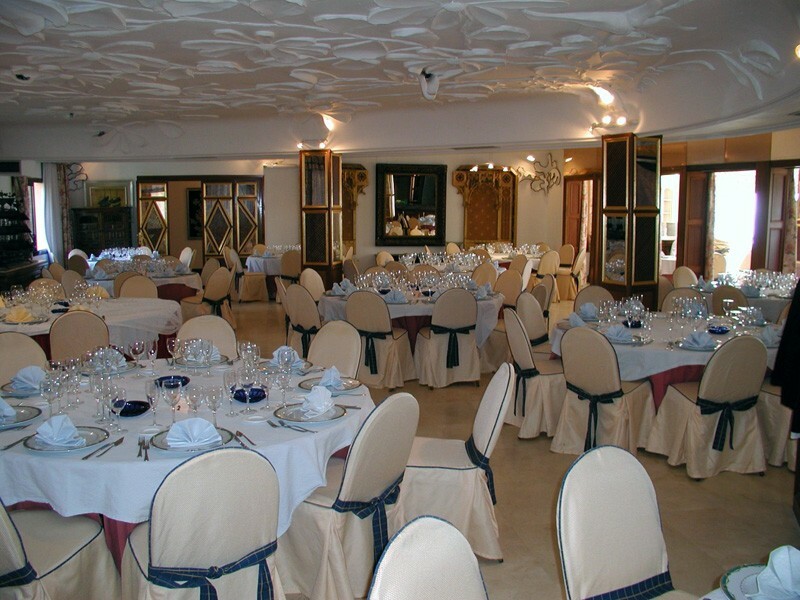 For dining, the hotel restaurant provides an all-you-can-eat buffet with a wide variety of dishes: paella and other rice dishes, pasta, fish, meat, vegetable dishes, and traditional Catalan specialities. At lunchtime in the summer you can eat outdoors in the barbecue area, and in the evenings the buffet is served in the restaurant with sea views. Hotel Eden Roc is the best option for celebrating unforgettable events on the Costa Brava: weddings, baptisms, first communions, family celebrations… Majestic rooms with stunning sea views and capacity for up to 260 people, as well as gardens and outdoor spaces that are ideal for hosting drinks receptions and wedding ceremonies. You will find full information in the Events section. With its excellent location and easy access to the country’s main transport links, Hotel Eden Roc is an ideal venue for hosting business events of any sort. 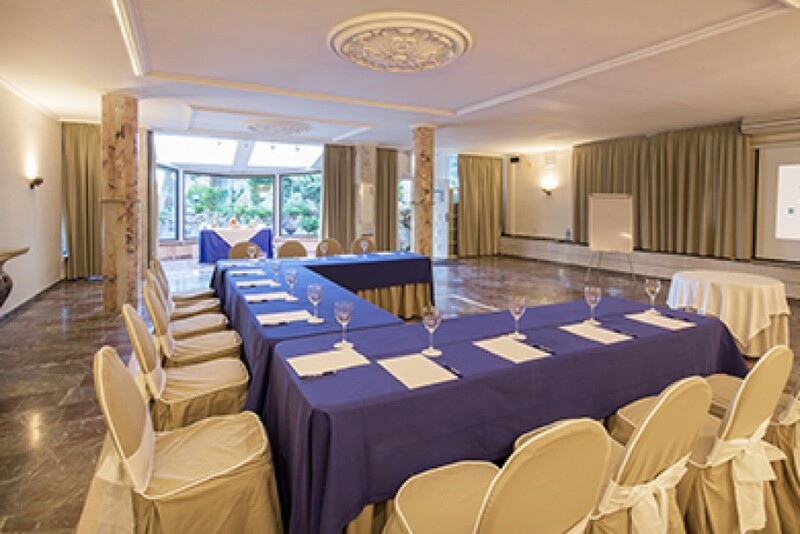 The hotel’s event rooms measure from 50 to 320 square metres and can host small meetings or seminars for 30 people up to conferences or conventions with a maximum of 250 people. The Port Salvi spa & Ayurveda health centre is the largest Ayurveda centre in Spain. 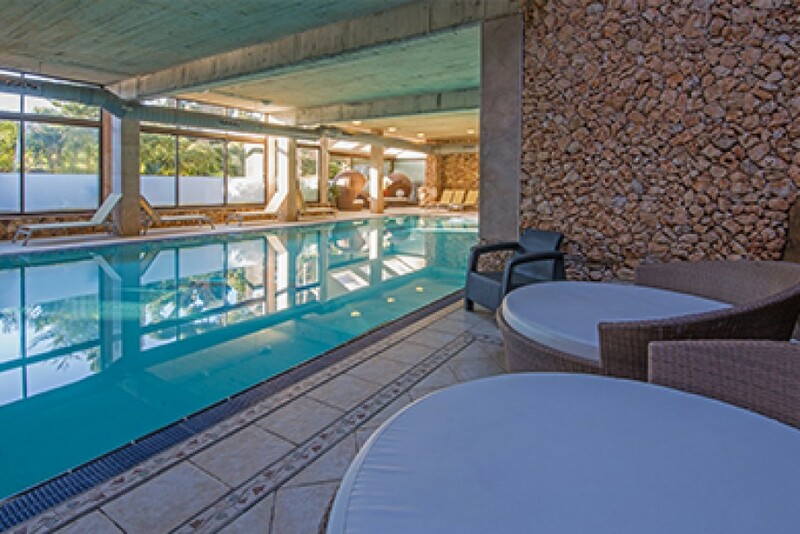 The centre has treatment rooms, hydrotherapy with a heated swimming pool with waterfall, a whirlpool bath for 10 people, a steam bath, a sauna, seminar rooms and a vegetarian restaurant. 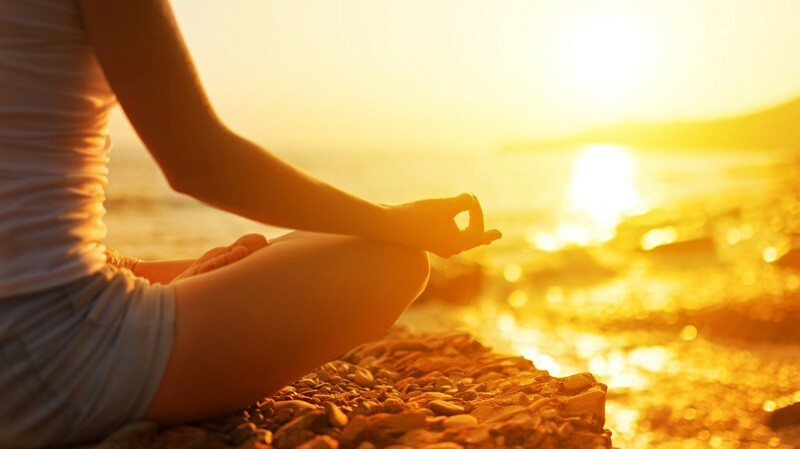 Yoga is an important discipline in traditional Ayurvedic medicine. This is why Hotel Eden Roc and the Port Salvi spa and Ayurveda health centre have two spaces for practising yoga: an indoor room with all of the equipment needed (mats, blankets, blocks, cushions, etc. ), and a new wooden pergola overlooking the sea, ideal for early morning classes as the sun rises. To round off the offer of the Port Salvi health centre, there is a gym with a variety of fitness machines. 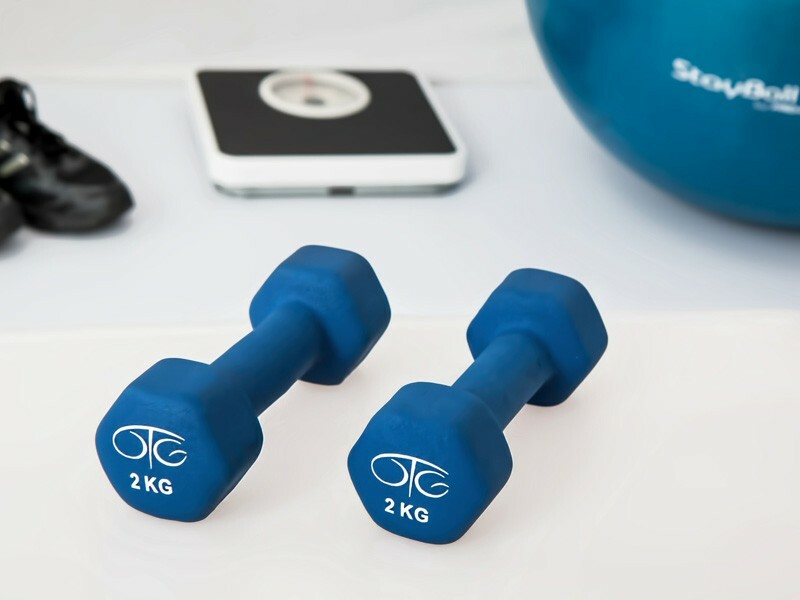 The gym has large windows and a terrace facing the sea so that you can get in shape with the Costa Brava’s best views. The Costa Brava is one of Europe’s best golf destinations. The central location of Hotel Eden Roc makes us the best location for enjoying the many first-rate golf courses located within 40 km of the hotel. PGA Catalunya, Golf Costa Brava, Golf de Pals, Golf d’Aro, etc. Consult our packages, passes and special prices for professionals. The Hotel Eden Roc, with exclusive easy sea access, sheltered from the wind, is a frequent starting point for divers who wish to explore the Costa Brava’s sea bed and underwater life. 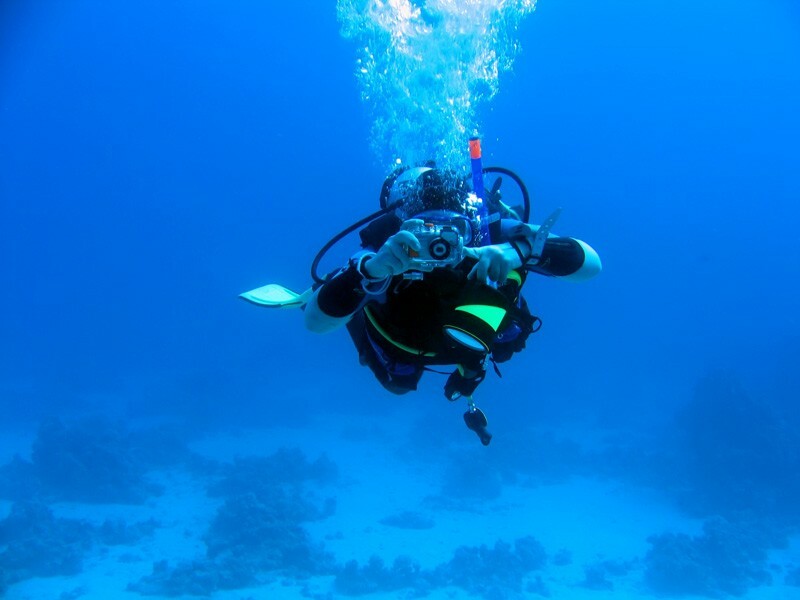 With a diving centre next to the hotel, the area is ideal for all levels of divers, from beginners through to more advanced levels. 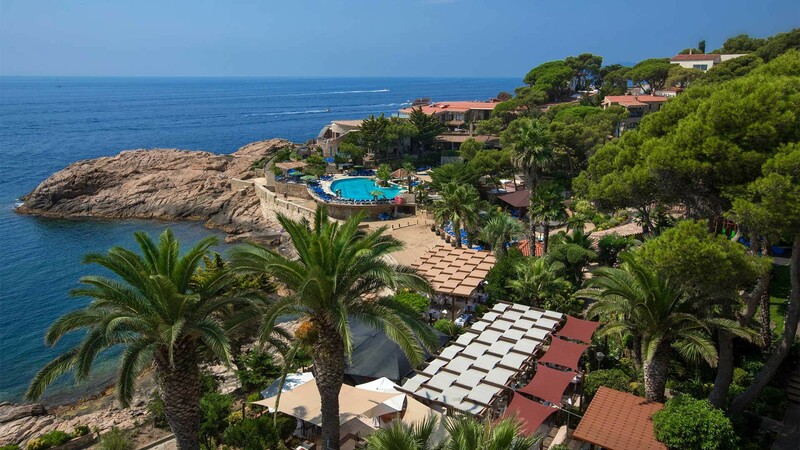 Hotel Eden Roc is located in a cove in Sant Feliu de Guíxols, with direct access to the Camí de Ronda coastal path and the sea. The hotel is in an enviably calm and serene location, surrounded by the Costa Brava’s typical scenery of red rocks. Hotel Eden Roc is a favourite hotel for golfers on the Costa Brava, thanks to its good transport links and its central location in the area. Sant Feliu de Guíxols is close to 8 first-rate golf courses, including Golf de Pals, Golf d’Aro, Club de Golf Costa Brava, l’Empordà Golf Resort, and the famous PGA Catalunya.